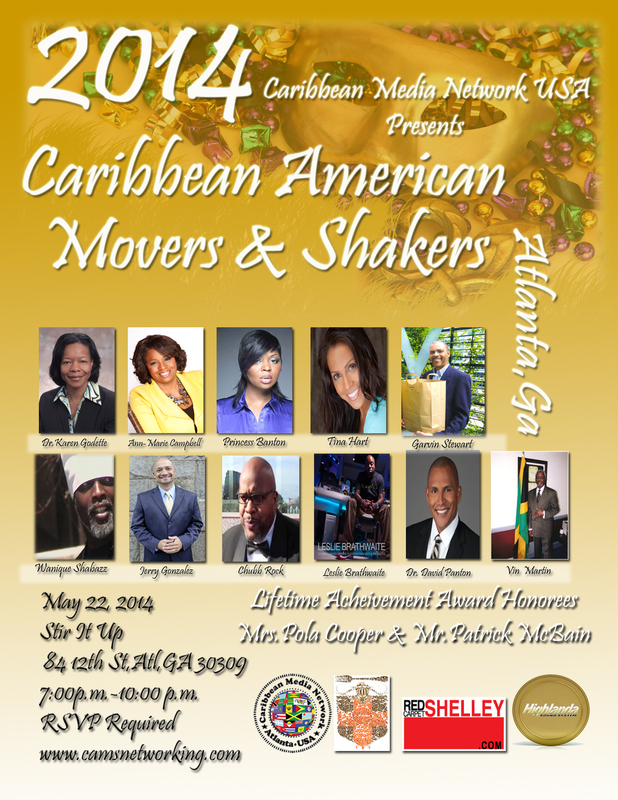 The 2014 Caribbean American Networking and Social Media Series in Atlanta, Georgia on Thursday May 22, 2014 at Stir It Up. RSVP FOR ENTRANCE TO THE EVENT! More info.